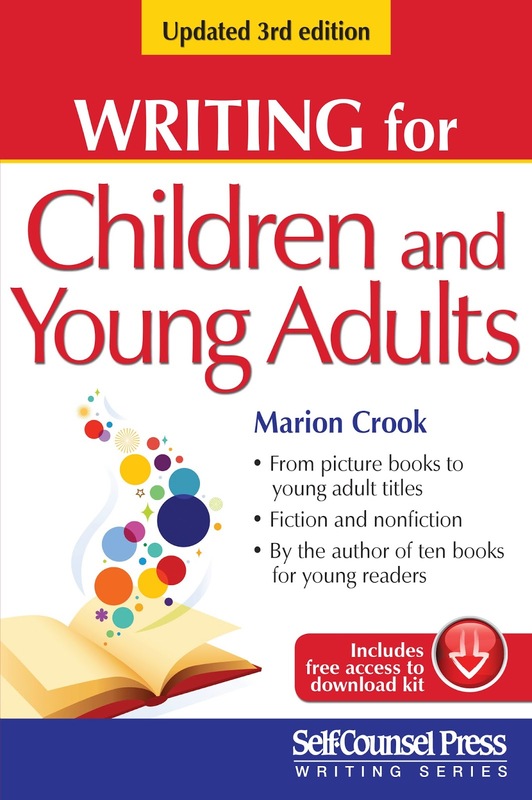 In addition to the expert advice author Marion Crook shared in earlier editions of Writing for Children and Young Adults, in this vibrant new edition, Crook explains some of the nuances and choices about the writing world online. As well, she revisits the fundamentals of writing: establishing character, creating lively dialogue and developing plot with updated worksheets and examples. This edition shows the writer how to begin a story, plan plot, develop and hone the work for an agent or publisher, and how to make the crucial submission for a book that agents want to represent and publishers want to buy! 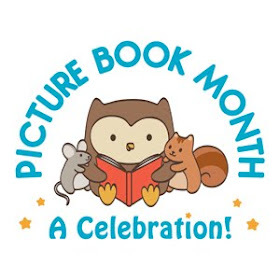 Writing for Children and Young Adults helps you create the manuscript that sells! 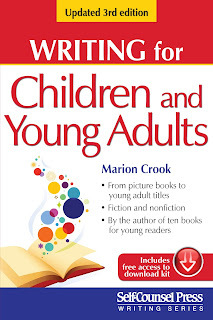 Marion Crook has written many books for young adult and middle-grade readers. Here, she offers advice on writing, publishing, and marketing. Crook’s background in child development education as a nurse and her Ph.D. in education give her solid knowledge, but she maintains that a keen observation of people, places, and events can be the author’s most useful tool. 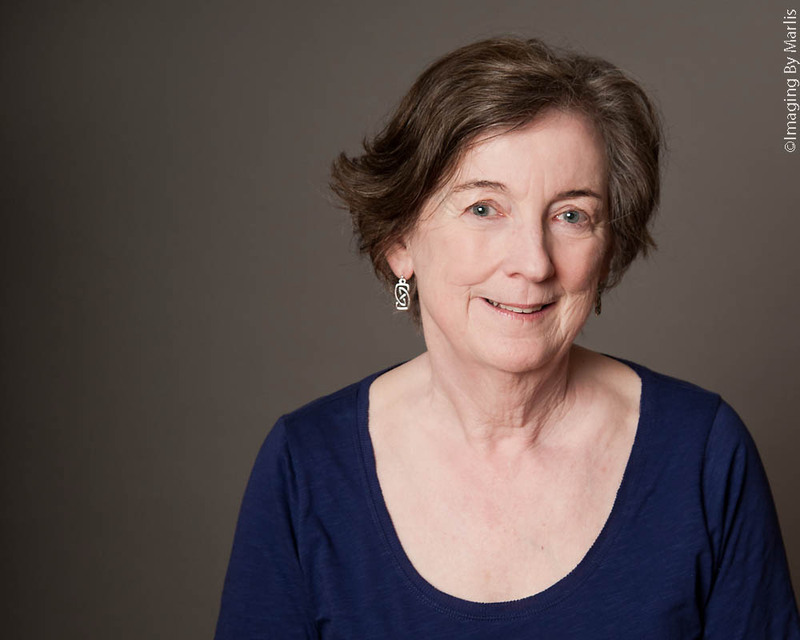 An experienced teacher and writer, she gives her readers clear and practical tips, with humor and obvious understanding of what it’s like to write and publish. There are many writing books available to help people learn how to write. This one by Marion Crook does a nice job of explaining what writing for children and YAs is like and the things that need to be considered depending on the particular audience and genre of book. The basics are covered regarding character, setting and plot with examples from her own works as well as others to demonstrate the points she makes. I appreciated the fact that the author makes clear that who you are and the experiences you've had as well as your values and beliefs are likely to shine through in your work and that's okay as long as you are ethical about it. This also needs to be carefully considered when crafting a story so that theme and message don't overwhelm the story. Children like most adults don't like to be preached to, and young adults really don't like it. Advice about style, technique, and the hows and whys are all presented honestly and simply giving the beginning writer a good place to start and plenty of things to think about. I think what I liked most about the book is the down-to-earth tone that made it seem that I was talking or listening to a friend who is trying to help. This makes for a great book to help a writer polish those writing skills and that manuscript into something truly amazing. Telling stories is an ancient skill practiced in public at community festivals,around the campfire, in religious rites, and in private at the cradles of the young. It involves an innate ability to pick dramatic words in a way that paints a mental picture and gives the tale a sense of pace and tension. The story becomes important, even if only for a short time, to the one who hears it or reads it. It is a way of communicating excitement and the optimistic belief that the world is a remarkable and knowable place. Many writers have an enthusiastic following of readers who want to share in their adventures. Telling stories is also an age-old method of communicating morality lessons to ensure that a point of view spreads in a palatable manner.Writing can be a way of instructing, advising, and guiding others. Most children don’t want to read stories that are written with such motivation, but many writers believe that teaching justifies their stories. A “moral” story isn’t necessarily a good story. The danger in writing morality tales is that the writer may ignore the needs of children and write from behind a screen of righteousness that thinly hides a lecture. As you may remember from your school years, most of us hate lectures. Stories also offer an illusion of control as if the world can be controlled by the way we interpret it. Most writers offer stories that have beginnings, middles, and ends describing life as neatly compacted and logical. Perhaps this illusion of controlled life gives readers a sense of order. You want to write a book that will delight many years later. You want your book to be the best you can produce, written in a style that is uniquely yours, perhaps using ideas that have never been written about or in a format that has never been tried. Writing is about creating. Thanks, Heidi. I did try to make this book easy to read and helpful. I may have understated how much work writing is but I know people find that out pretty quickly.